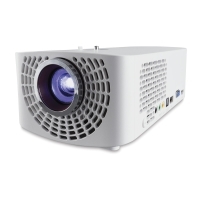 Full 1920 × 1080 HD resolution and 1400 lumens of LED brightness make Artograph Impression LED1400 Digital Projector perfect for your largest projects. And with built-in USB, HDMI, RGB, and composite inputs, you can use it with almost any digital device on the market. The Impression's extremely bright projection capability makes it perfect for murals and large paintings, and the maximum resolution projects a very clear picture for highly detailed work. 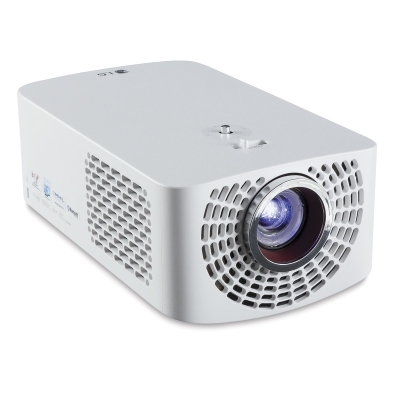 Other great features include digital keystone adjustment to help keep your images in proper perspective, gray scale and contrast controls for unsurpassed tonal evaluation, color temperature/hue adjustment for vivid images in all lighting conditions, and wireless connectivity (with certain devices) via Wi-Fi Direct or Miracast. The Impression’s proprietary firmware includes 22 custom grids with a bonus set of border patterns and geometric shapes. These grids and patterns bring superior capability for layout, composition, and scaling, ready at the touch of a button on the included remote control. The Impression comes with a protective case, SD Card Reader, HDMI cable, AC adapter, and Artograph's lifetime technical support. It measures 3¼" H × 8¾" W × 5¼" D and weighs 3.3 lb. LEDs are rated to last 30,000 hours. Please note that due to a manufacturing delay, this item may not be available to ship until January 2018. Please see “Additional Delivery Time” to view expected shipping dates.